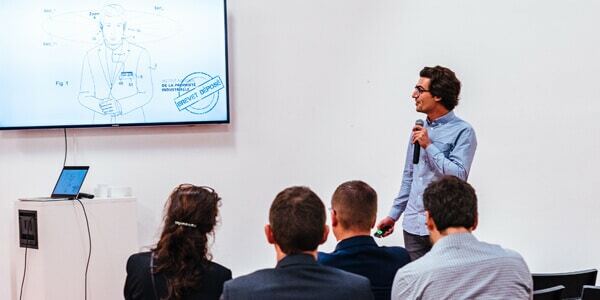 Orosound is one of the 5 winners of Connecting the World 2015 contest, among 85 of the best French IoT start-up companies. For the first time in 2015, European semiconductor specialist Silica launched the contest Connecting the World under the patronage of Éric Carreel. The contest is about promoting innovative projects of the Internet of Things (IoT), turning ideas into concrete products and supporting the most promising IoT start-ups. After being shortlisted, we presented Orosound to more than 300 attendees and convinced the jury: we were one of the five winners of the contest! Silica Connecting the World prize is Orosound’s first reward since it was launched in April 2015. We have been very happy to be a part of this amazing event which put Orosoud on the map. It was a chance for us to meet great service providers such as design agency Elium Studio. We hope to work with them in the nearest future!